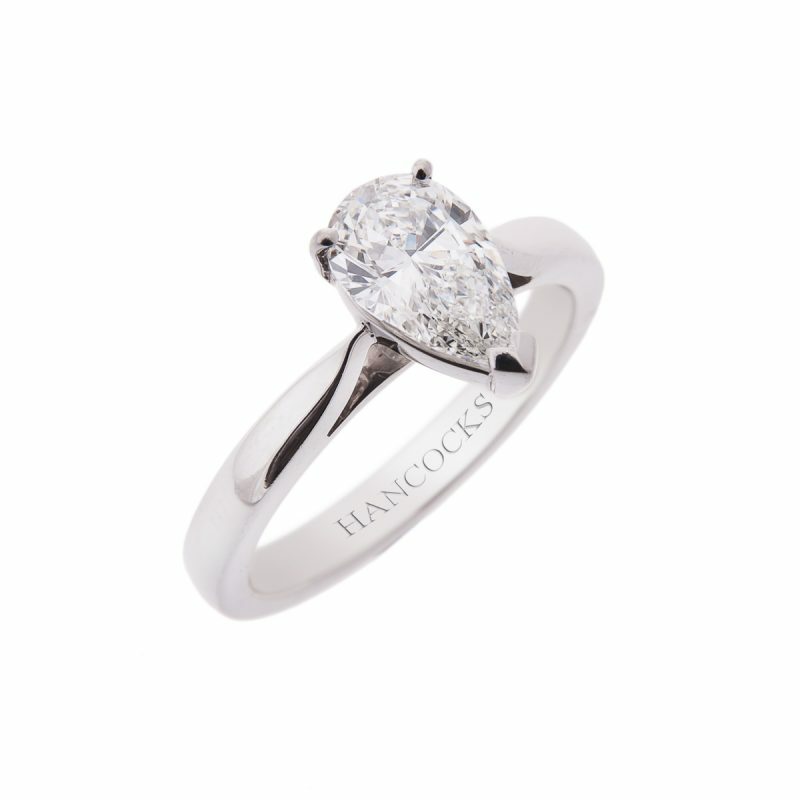 Few shapes can rival the smooth, elegant lines of a pear cut diamond. 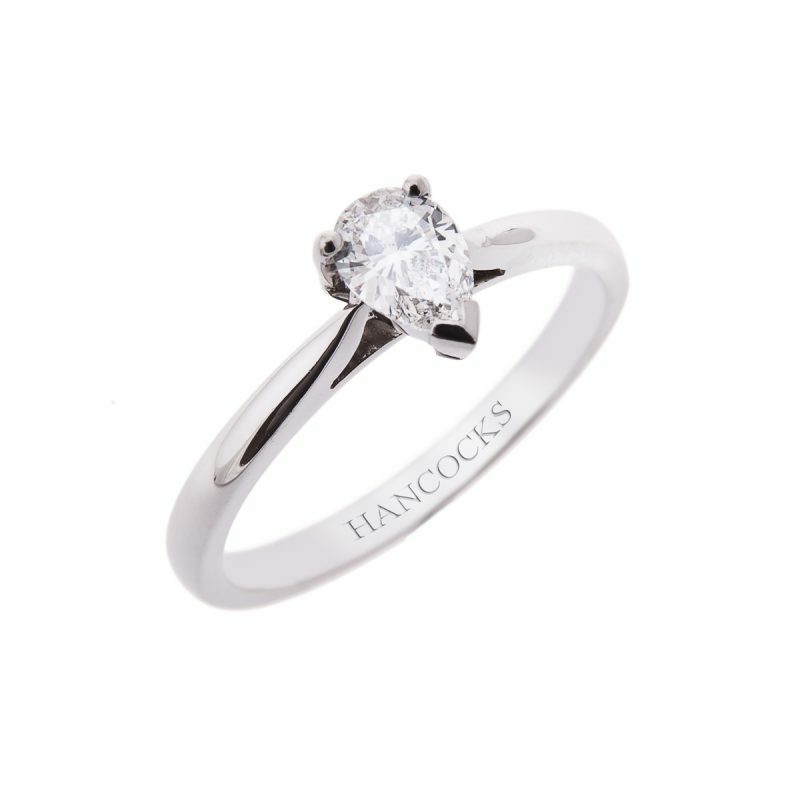 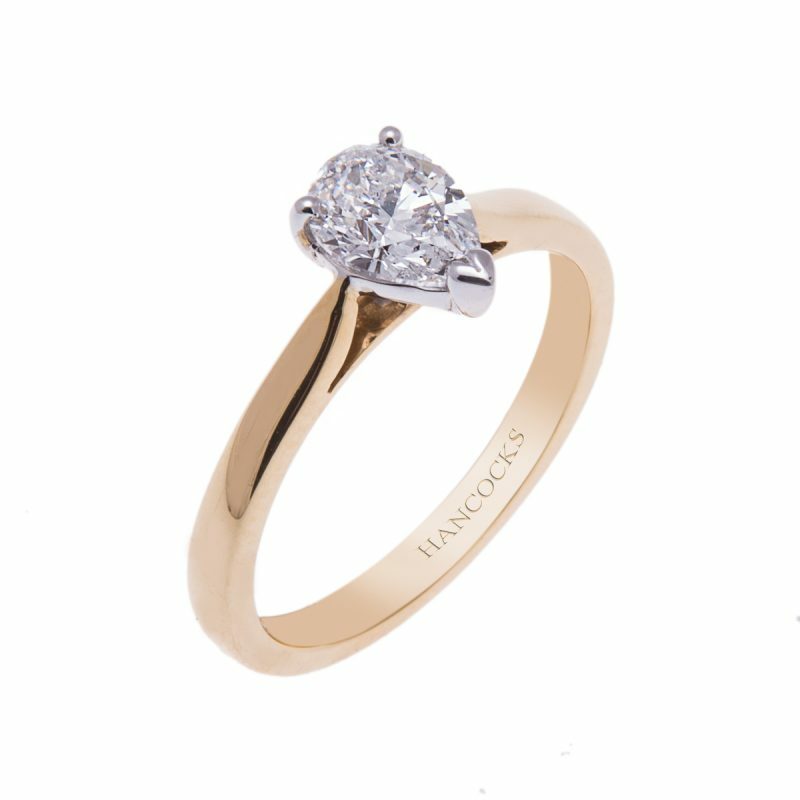 Mounted as a solitaire in an 18ct yellow gold claw setting this stone exhibits remarkable beauty, fire and sparkle. 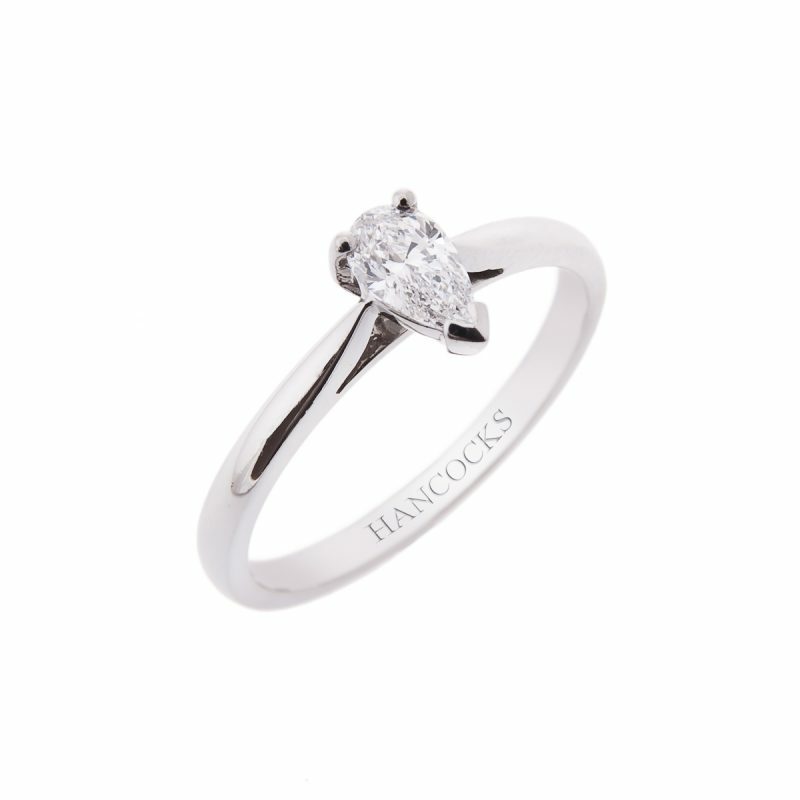 With an air of sophistication and refinement that speaks of impeccable taste, this ring would the special someone in your life very happy indeed. 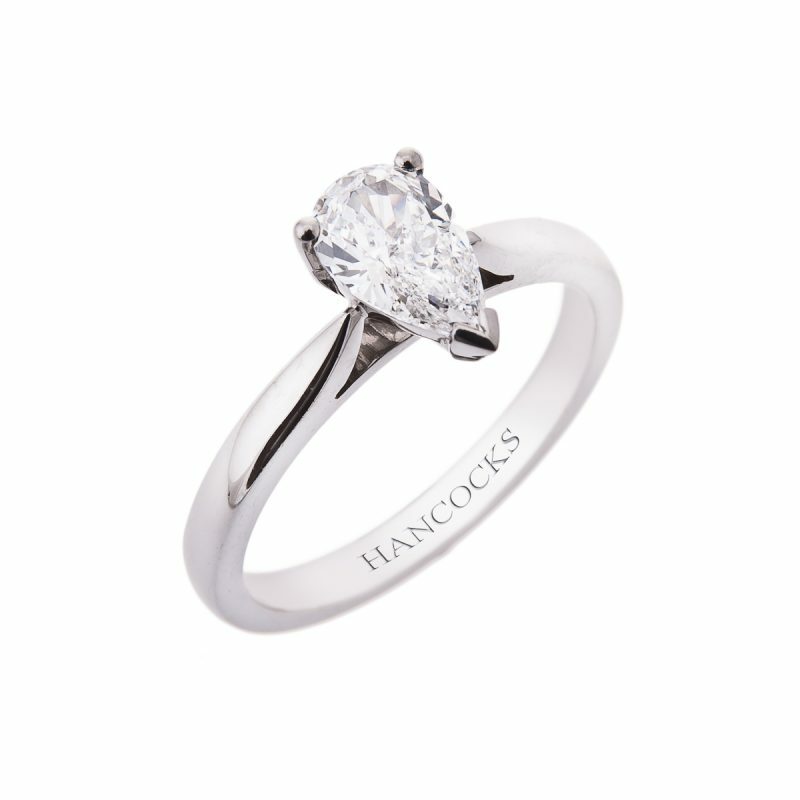 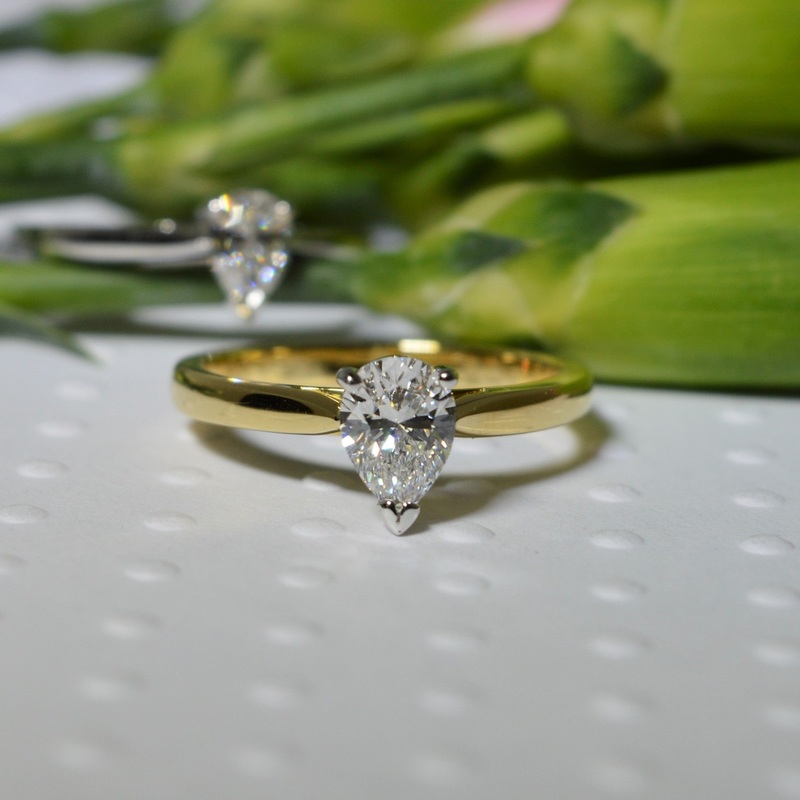 Pear cuts are a stunning fusion of the traditional round brilliant and marquise shaped diamonds.